Recent tests found more of the weed killer glyphosate than some vitamins in samples of oat-based breakfast cereals marketed to children. The tests were conducted and analyzed by the Environmental Working Group. 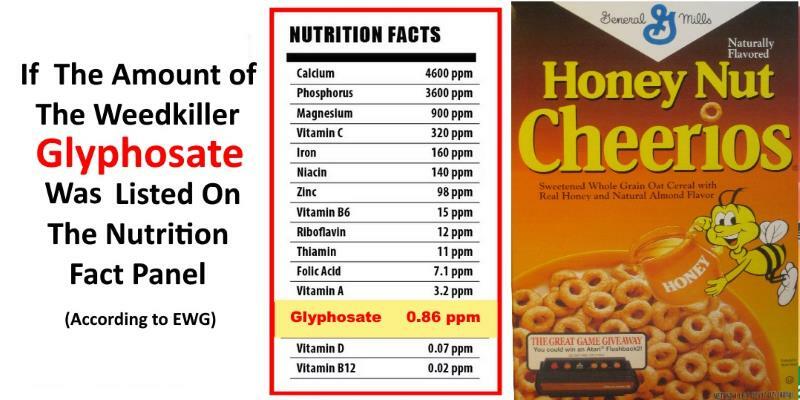 Laboratory tests commissioned by EWG found levels of glyphosate, first produced by Monsanto as Roundup, in many breakfast cereals including in samples of General Mills’ Honey Nut Cheerios. According to the EWG, the amount of the toxic pesticide exceeded the amount of both Vitamin D and Vitamin B12. In a sample of Quaker Oatmeal Squares, there was more glyphosate than Vitamin A. In this article I’ll explain why glyphosate is bad for you and I’ll share with you the list of the products containing glyphosate. Glyphosate is the most widely used broad-spectrum systemic herbicide. Glyphosate is absorbed through foliage, and minimally through roots. In March 2015, the World Health Organization’s International Agency for Research on Cancer (IRAC) classified glyphosate as “probably carcinogenic in humans” based on epidemiological studies, animal studies, and lab studies. The IARC has steadfastly defended that decision despite ongoing attacks by Monsanto. The link between glyphosate and Non-Hodgkin’s lymphoma is particularly strong. A study published in the International Journal of Cancer found an association between exposure to herbicides such as glyphosate and non-Hodgkin lymphoma. Glyphosate is Legal so What’s the Problem? “The EPA’s legal limit for glyphosate on oats, 30 parts per million, was set in 2008, well before the cancer findings of the IARC and California state scientists.” says the EWG. Studies regularly find that the legal limits on contaminants in food, air, drinking water and consumer products fall short of fully protecting public health, particularly for children and other people more sensitive to the effects of toxic chemicals. 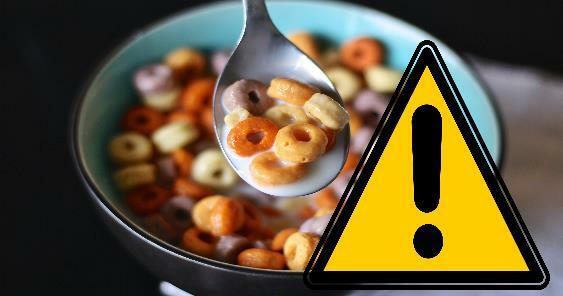 Chemicals linked to cancer should not be in your food, especially in children’s food. Below is a list of oat-based breakfast cereals that contain glyphosate residues. You cannot remove glyphosate contamination by washing as it is absorbed into the plant while it’s growing. It is also not broken down by cooking or baking. Look for products that are non-GMO and organic as they are unlikely to contain glyphosate. But you need to be aware that glyphosate use is so rampant, that some organic foods may still contain small amounts of glyphosate residues. This toxic herbicide can travel far, especially when it is applied in mornings. It gets hung up and moves with the air mass across fields. Glyphosate Residue Free certification verifies that your product/s do not contain glyphosate. A third party ISO 17025 accredited laboratory tests the products to make sure they do not contain glyphosate residues. Growing your own vegetables is a great way to ensure your food is grown glyphosate-free.